Pearl Scan Legal is a specialist division of the Pearl Scan Group that provides bespoke legal scanning and document management solutions for companies within the legal sector. Businesses in the legal sector are producing huge amounts of paper on a daily basis, often incurring high storage costs or taking up a great deal of office space filling filing cabinets, boxes and folders. Having file retention periods of up to ten years for some kinds of legal files, these documents build up and become a huge problem for companies up and down the UK. For this reason, more and more of these businesses are turning to Pearl Scan Legal to digitise their documents to be stored in a more efficient and cost effective digital storage system. We have top of the range scanners equipped with ultrasonic, double feed detection technology that can scan your legal documents in high quality. Our technology has been developed to heavily reduce processing time and cost and we can have your digitised documents back to you in no time ready for you to reap the benefits immediately. What We Scan: Case Files, Police Reports, Property and Mortgage Documents, Reference Materials, Contracts, Wills, Death Certificates, Deeds, Litigation Documents, Trusts, Communication Documents, Financial Files, Disclosure Documents and Claims Files. We provide services nationwide and have teams of secure drivers and couriers to collect documents the same or the next day. We can also supply our secure A3 size boxes, which can hold bundles, folders, hanging files and any other loose documents. Prior to scanning your legal documents, we remove any document fasteners, such as staples, paper clips, treasury tags and post-it notes. All documents, including the attachments and receipts, are all kept in their original order to ensure a smooth and accurate scanning process takes place and to guarantee the quality of all documents scanned. To ensure that each and every page has been scanned during the digitisation process, we utilise state of the art technology and dedicated scanning equipment. These are equipped with ultrasonic, double feed detection technology which uses sound waves to detect multiple documents going through the scanner at the same time and stops the scanner at detection. We can scan to PDF or any other preferred format such as searchable PDF, TIFF and JPEG. We can scan documents as small as a till receipt right up to A3 large format drawings and plans in full colour, greyscale or black and white. This ensures the easy retrieval of legal files as and when you need them through simple text searches. We have a successful proven track record of managing high volume projects and we are fully accredited to ISO 9000:2001 quality management services and systems. We are also committed to Investors in People (IIP) and Skills Pledge. In addition to these, we have developed our internal quality-control procedures to ensure that the scanning process and digitalisation meets the required industry standards. The scanned images (data) can be supplied on CD, DVD, USB or secure FTP. For the security and confidentiality of the legal data delivery, we can encrypt the entire data using highest level of encryption. In addition to the above options, if your department or company does not have any document management system we can supply the data in our free document management software, Halogen, or host it for you on our secure Pearl Cloud portal. Save Space- Storing digital documents is a huge space saver when you no longer need to file paper copies in cabinets or off-site storage. Save Time- Having fully text searchable documents stored in the same place speeds up file retrieval. 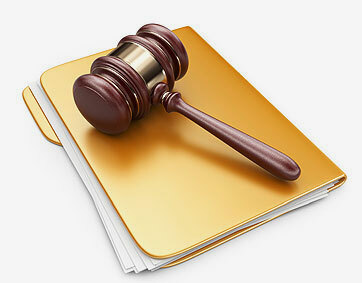 Save Costs- Legal scanning can abolish high file storage costs and reduce costs wasted on printing materials. Increased Security- Encrypted and password protected digital files offer a great deal more protection for the sensitive information held in legal documents. More Document Flexibility- By storing documents digitally, you will be able to view, edit and share them with greater flexibility. Improved Workflow- With quick sharing, cases can be sent to the relevant people and dealt with quicker. Improved Efficiency- With quicker file retrieval and easier file sharing, office efficiency is bound to be boosted. Why Choose Pearl Scan Legal? We know how confidential your documents need to be so the bureaus we operate from are secure sites which are monitored 24/7 using internal, external CCTV cameras and RedCare security systems. Pearl Scan Legal have the infrastructure and resources to provide large volume document scanning and processing with quick turnaround times. We have over a decade's worth of extensive knowledge and experience in providing bespoke document scanning and management solutions to both public and private sectors. We offer a range of legal scanning and document management bundles to suit most budgets. 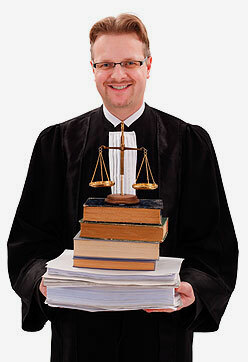 Why do Lawyers Love Paper so Much? 8 am. to 6 pm.